Although a chipped tooth sounds less serious than a cracked or broken one, it still requires treatment by a dentist. Failing to address the issue increases the risk of tooth decay and further damage. Fortunately, there are several treatment options available that won’t detract from the overall beauty of your smile. Below is a brief guide to three choices. For minor chips of the front-facing teeth, dental bonding is a preferred solution. The treatment option uses composite resin—the same material used for tooth-colored fillings—to repair and restore their natural shape. The dentist completes the process in a single appointment, and the result is a beautifully restored tooth that matches the rest of your smile in size, shape, and color. Though durable, dental bonding is not a permanent solution, so you may need additional repairs a few years after the initial treatment. Porcelain veneers are also used for front-facing teeth, but they are typically reserved for addressing larger chips. The procedure usually requires two visits to the dentist, but the result is a highly custom restoration. During the first trip, the dentist removes a small layer of enamel and takes impressions of the tooth to send to a lab to create the veneer. They’ll also select the matching shade based on the color of your surrounding teeth. At the second visit, the dentist cements the veneer in place for a blemish-free smile. Porcelain options can last up to 10 years or more with proper care, so they’re a more durable solution than dental bonding. Although a dental crown can be used to repair a front-facing tooth, this solution is most often used for the back molars. As with veneers, they are a two-visit process, with preparations and impressions taking place during the first appointment and permanent placement during the second. Like the other treatment options, your crown will be crafted from porcelain in a shade that blends in seamlessly with the rest of your smile. You can expect this durable solution to last 10 to 15 years or more while protecting your molar from tooth decay and damage. You don’t have to worry about how a chipped tooth will affect your smile with these natural-looking treatment options. 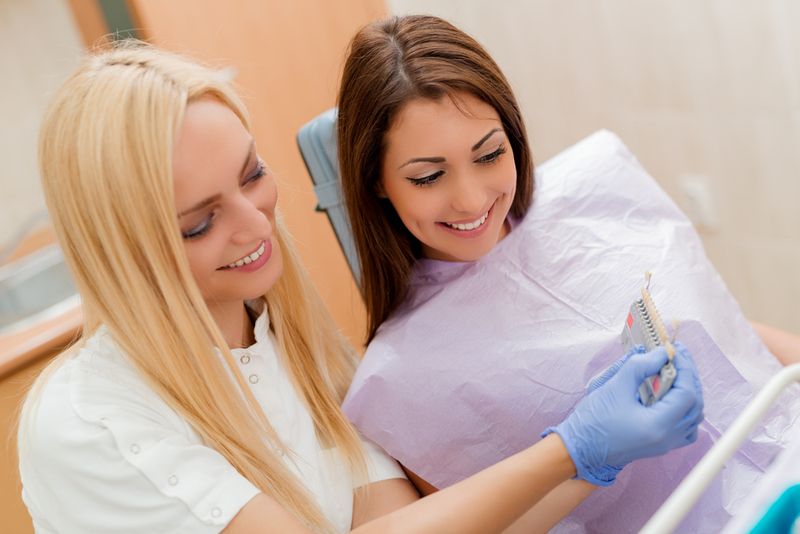 Preventive Dental Services corrects a range of cosmetic flaws and structural damage. Their dentists offer a comprehensive set of services, from crowns and root canals to teeth whitening and implants. Call today at (907) 235-1286 to schedule an appointment, and learn more about how this Homer, AK, dental practice can assist online.